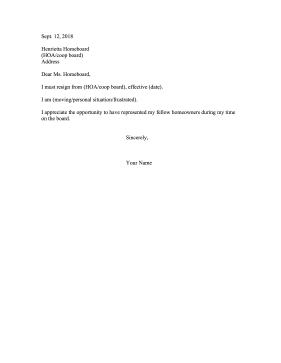 Someone serving on an HOA, neighborhood association, or other homeowner type board can send this letter of resignation. I must resign from (HOA/coop board), effective (date). I appreciate the opportunity to have represented my fellow homeowners during my time on the board.